Enjoy fresh mountain air, blue skies and beautiful mountain views as you relax on the spacious veranda outside the Lockhart Inn. The historical home of authoress Caroline Lockhart has been beautifully restored with grace and country charm. 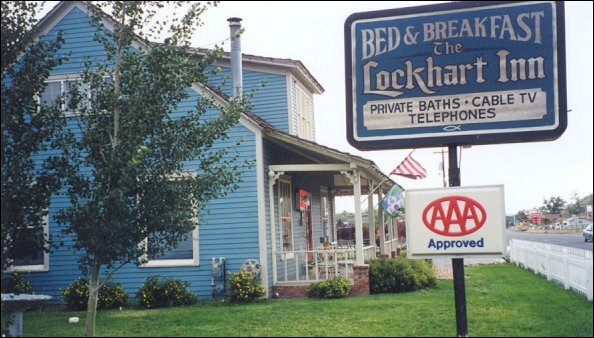 Each room in the Lockhart Inn is tastefully decorated with antiques and comfy old fashioned beds with extra long queen size mattresses. Your room also has its own private bath, complete with a claw-foot tub or soaking tub, bubble bath and candlelight. Open year-round. No Pets.